Hi All! So I have someone that I make birthday cards for each month (there are always a few! )...she tells me the kinds of things they like and I usually go from there. This time was a little different because it was pretty much a 'do whatever you want' card. 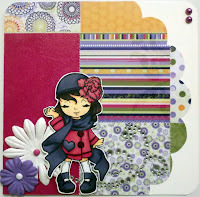 I had a stamped image already colored, Madelyn from The Greeting Farm, which seemed like the perfect way to start. To tell you the truth I didn't have much time so when I was digging through my dp and came across the Zinnia paper from My Little Yellow Bicycle it was perfect because it already looked like patchwork so I didn't have to think to hard about the layout. 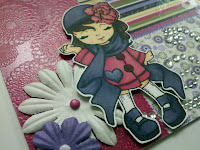 Add the image with a couple of paper flowers I always have hanging and a bling flourish from Michael's and I was done! 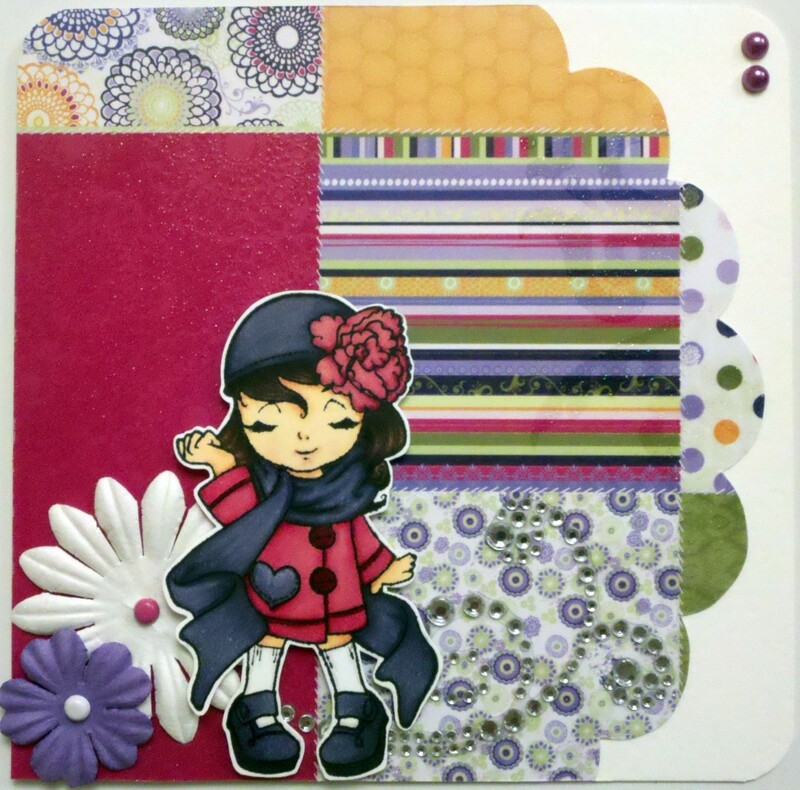 Only when I looked at the whole thing put together I realized that I had unwittingly made a spring time card! For a December birthday :) Guess it's a good thing it turned out cute!